BERLIN -- Volkswagen's supervisory board is set to meet on Friday to discuss the company's ambitious cost-reduction plans, Der Spiegel reported on Wednesday, citing company sources. The magazine said the extraordinary board meeting has been scheduled to mediate between management at Germany's biggest carmaker and the head of its works council, Bernd Osterloh, who is also a member of the supervisory board. A Volkswagen spokesman said he did not know of any planned board session. A participant at a staff gathering on Wednesday told Reuters that Osterloh had said that unless the management offered concessions on planned job cuts there could be a confrontation that would "paralyze the company for months." 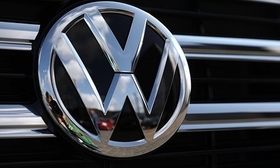 Volkswagen this month said it would shrink its workforce by up to 7,000, raise productivity and eke out 5.9 billion euros ($6.7 billion) in annual savings at its core VW brand by 2023 in an effort to raise operating margins to 6 percent. Der Spiegel, which also referred to the staff meeting, reported that Osterloh demanded a jobs guarantee to 2029 and that the Wolfsburg-based carmaker restaffs all currently open positions. "I will tell Mr. Porsche the same thing this week," Osterloh was quoted as saying by the meeting participant who spoke to Reuters. Wolfgang Porsche is chairman of Porsche SE, the holding company that controls Volkswagen, and is a member of Volkswagen's supervisory board. Tensions had flared this month after he criticized what he described as rigid structures in Wolfsburg and demanded greater flexibility from VW’s workers to help CEO Herbert Diess overhaul the carmaker. “We give job guarantees until 2025 or 2028 and have no idea what the competition in China will be unveiling in two years time,” Porsche said at the time. Osterloh has retaliated by blaming management mistakes for high costs and low profitability at VW.